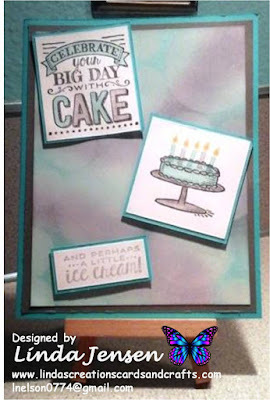 Then stamp the sentiment on the 1 7/8" x 2 1/8" piece of white card stock in Stazon Jet Black ink, watercolor it with an aqua painter and Bermuda Bay and Basic Gray inks, attach it to the 2" x 2 1/4" piece of turquoise card stock then attach it to the front layer with mini pop dots. Next stamp the cake on the 2" x 2" piece of white card stock in Jet Black ink and watercolor it with Bermuda Bay and Basic Gray inks, stamp the candles in the same colors except color the flames on the stamp with Daffodil Delight ink and a blender pen, attach it to the 2 1/8" x 2 1/8" piece of turquoise card stock then attach it to the front layer with mini pop dots. 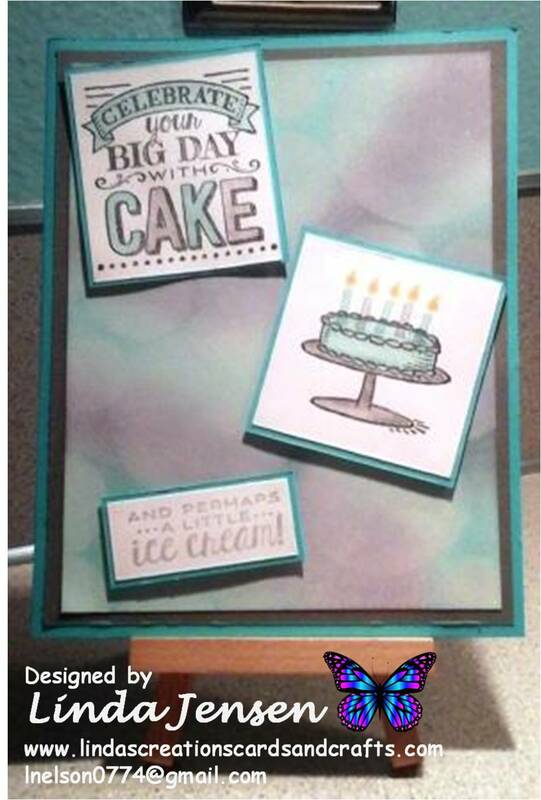 Then stamp the ice cream sentiment on the 3/4" x 1 3/4" piece of white card stock with Basic Gray ink, attach it to the 7/8" x 1 7/8" piece of turquoise card stock, then attach it to the front layer mini pop dots. 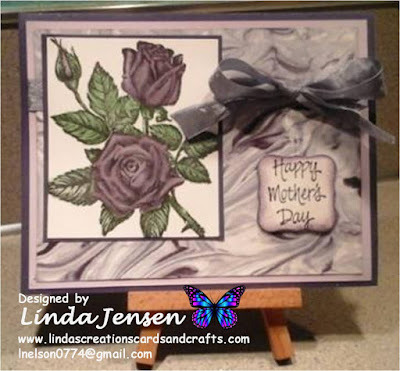 Then attach the front layer to the middle layer, the middle layer to the base and enjoy!